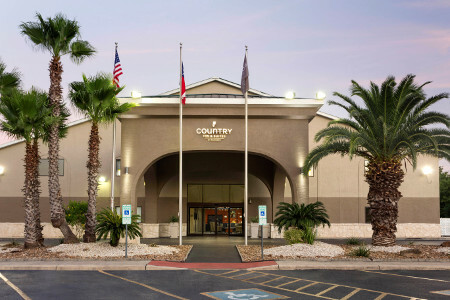 Located just off U.S. 90, the Country Inn & Suites® by Radisson, Lackland AFB (San Antonio), TX welcomes you with amenities like a warm fireplace and a hot tub. 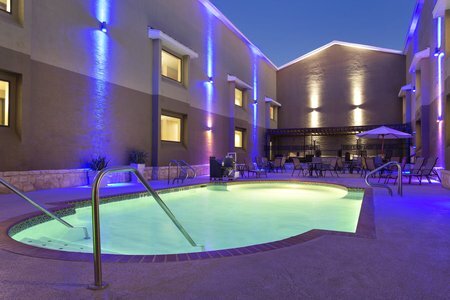 Only minutes from the Air Force base, our hotel is also close to downtown San Antonio and attractions like the River Walk, Nelson Wolff Stadium and the Alamodome. Need extra space? 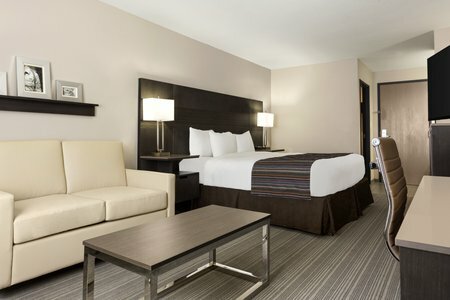 Opt for a Suite, equipped with all standard amenities as well as a separate living area and a kitchenette. 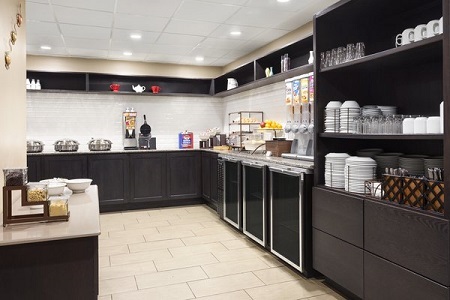 Wake up to a hot waffle and fresh fruit or grab a bagel for a quick bite at the hotel’s complimentary, hot breakfast. For lunch and dinner, try a nearby restaurant like La Michelada Grill, an authentic Mexican restaurant that is a neighborhood favorite. Choose from a variety of agua fresca flavors to wash down some of the best corn tortillas and seafood platters in the area. Ingram Park Mall – You can pick up a gift for your new grad at Ingram Park Mall, only 10 minutes away. Browse more than 150 stores, and then top off your shopping trip with a scoop of ice cream from the mall’s Marble Slab Creamery. San Antonio River Walk – Explore the shores of the San Antonio River along the River Walk, one of the most popular tourist attractions in Texas and just a 17-minute drive from the hotel. Take a Segway tour past the historic Spanish Governor’s Palace, enjoy a riverboat tour, or stop for drinks at one of the many restaurants and bars that line the beautifully landscaped riverside. SeaWorld San Antonio – About nine miles away, SeaWorld San Antonio invites you to splash, learn and play your way through the largest marine theme park in the world. Start your visit with a kiss from a dolphin or a beluga whale at Discovery Point, and then soar 100 feet into the air before plunging into the lake on the Journey to Atlantis® water ride. Celebrate with your Air Force graduate at the Country Inn & Suites, which offers a versatile meeting space for up to 80 people. 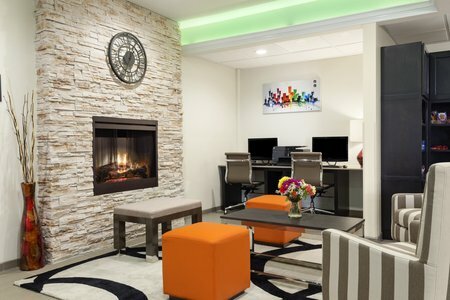 The room features audiovisual equipment, and our staff can help you with setup and planning. Be sure to ask about the hotel’s military discount when you make a reservation.